The Time Machine: After School Special. Our neighbours Cheeky Ccino have got a pretty special deal going on at the moment for you kids still at school. 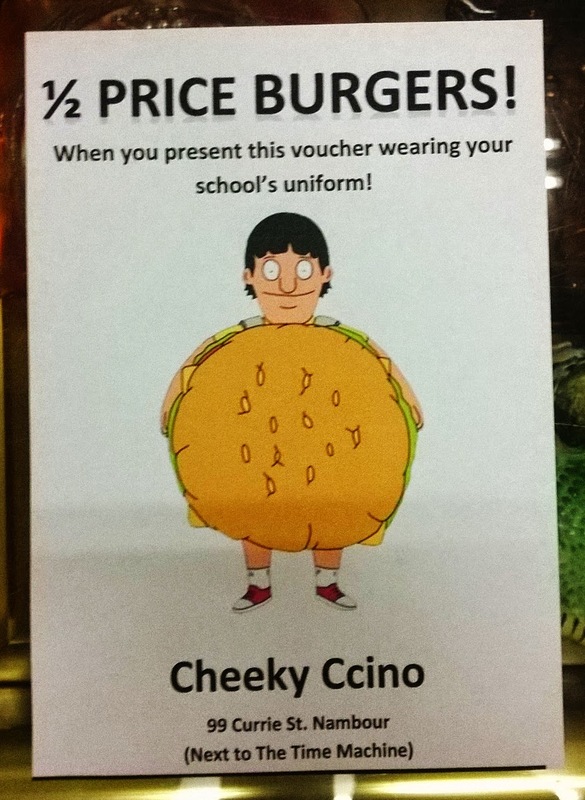 Come grab one of these vouchers at the Time Machine after school and get 1/2 price burgers if you're in your school uniform. Go chuck 'em a like, kids friendly cafe with some damn tasty food.